Sponsorship, these days, is a well-worn path. Rights holder’s commercial programs are well established and there is lots of great advice and best-practice to follow. While fundraising is a long-established discipline for many charities, more and more sports rights holders have been activating fundraising initiatives to impact positive change in their communities or help fund special projects such as high-performance centres. Fundraising, in sport, however, is still on a learning curve. Patrick Walker is the CEO of the Australian Sports Foundation. The ASF’s mission is to help Australians fundraise to achieve their sporting dreams. Patrick has a strong finance background, strong leadership, and strategic skills gained in senior executive, CEO, and board roles both in Australia and internationally. Patrick joins us on the show to discuss fundraising in sport and share his wealth of knowledge, insights, and advice. 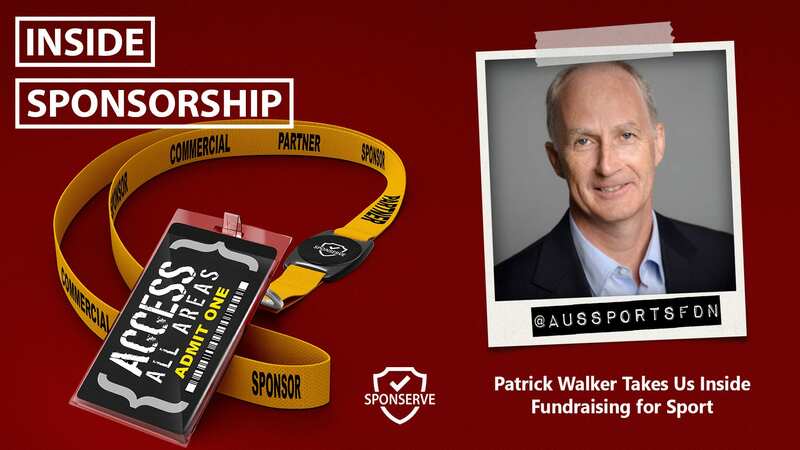 You’ll also hear from Mark Thompson, SponServe’s Managing Director, who joins us to discuss his latest blog, The Common Philosophies Which Align Sponsorship and Fundraising for Sport.